Foundation is the base of any make-up as the make up can’t be imagine without make up but first of all a foundation is a cosmetic skin colored which is basically applied on face to generate even, and uniform color to the complexion it is applied all over the face in a relaxed way way so that it balances the un even tone of the skin and provide then equal color tone all over the face and after applying Foundation other make – up is applied as it provides a proper surface also for the further make – up to stay on the face properly. 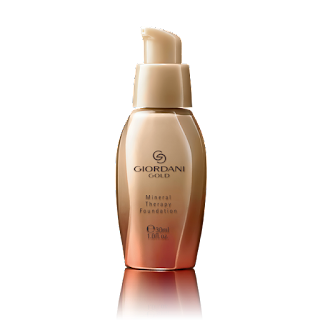 Basically the foundation is quite similar to the concealer but they both also have some differences like while talking about the concealer then it is much opaque than the foundation as the foundation is applied all over the face whereas on the other hand the concealer is applied on selective and small areas of the face such as blemishes, scares, underneath the eyes to cover the dark circles , so never use the foundation in place of concealer as they both have different working and they are made for separate use. Our foundation products are long staying and so light weighted that never creates any irritation on the face which may cause any type of problem to your face Aqua-Rhythm Intense Hydration Youth Preserve Tinted Moisturizer Natural Beige which is generally known for its quick restoring capacity of moisture and to convert a dull and tired skin into bright and glowing face and as the name sounds aqua that means it is made up of hydro – Protect complex and shea butter whose combination always creates magic as the leave behind an amazing soft and comfortable skin to you whereas on the other hand while talking about our another product popularly known as Giordano Gold Giordani Gold Age Defying Foundation is an age defying foundation generally used to bring back the glow again on the pretty face which is suffering from ageing, dullness and fatigue, as it have a creamy texture so it easily spreads all over the face very easily whereas it also comes in various creamy color shades such as Porcelain, Light Ivory, Natural Beige, Natural Rose, Golden Beige and many more to count so its always best option to chose according to your comfort.